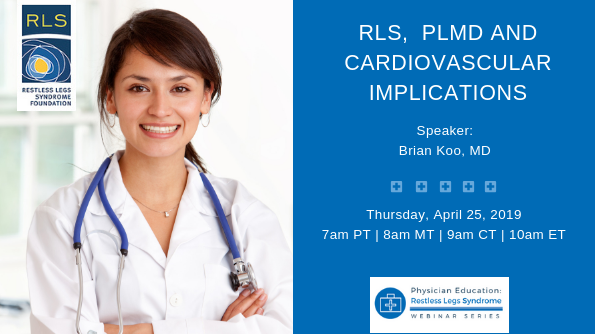 "RLS, PLMD and Cardiovascular Implications" featuring Dr. Brian Koo on Thurday, April 25, 2019. The following webinars are designed to educate healthcare professionals about restless legs syndrome: how to recognize and diagnose RLS, treatment options and common side effects, comorbidities and complexities, and much more. These webinars are offered exclusively to licensed healthcare providers, these are not intended for patients. If you are a patient, please print this schedule and encourage your healthcare provider to attend!